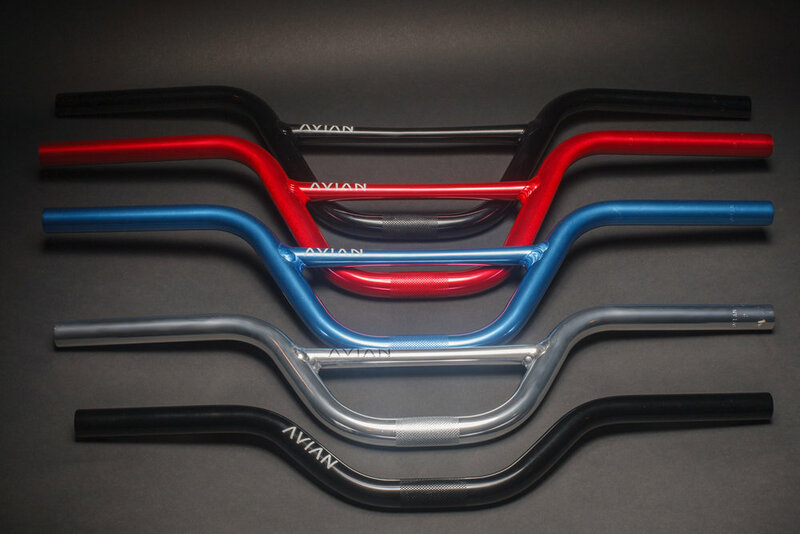 Our Alloy handlebars are made out of double-butted 6061 aluminum. They feature a tapered cross-bar, and are available in five sizes and four colors which are gloss black, red, blue, and polished. 3 degrees up-sweep, 6 degrees back-sweep.